Includes 8 courses for $299/year. The full course is 39 minutes long and available in a number of affordable formats. The prohibited approach boundary, the restricted approach boundary, and the limited approach boundary (from left to right). 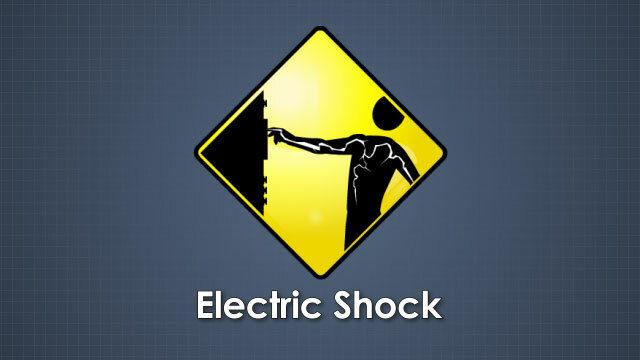 Shock is one electrical hazard, but it's not the same as arc flash. 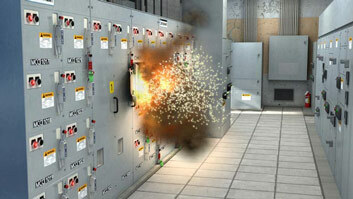 An arc flash can be dangerous from over extended distances. NFPA 70E is the "Standard for Electrical Safety in the Workplace." 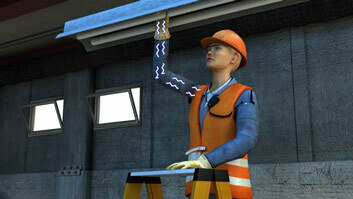 It establishes safe practices for protecting workers from two major electrical dangers, electric shock and arc flash. This course provides an introduction to NFPA 70E and summarizes some of its important electrical safety guidelines, including information on safety program components, risk assessment, risk control hierarchy, safety boundaries and some requirements for electrical equipment and devices. 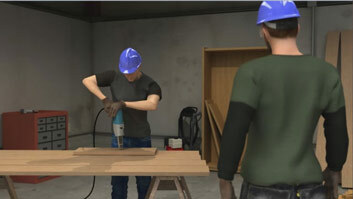 It also introduces PPE categories and incident energy analysis methods for determining personal protective equipment requirements. Known as the "standard for electrical safety in the workplace," NFPA 70E establishes safe working practices in the workplace for working with or near electrical equipment. What are key electrical hazards? Electric shock and arc flash. When electric current flows directly through a body, often as a result of the body coming into direct contact with an energized component. 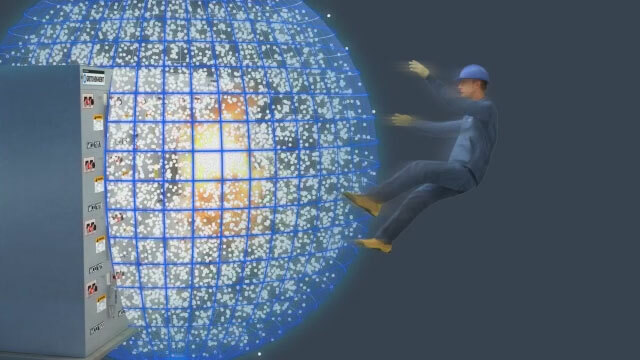 When electricity diverts from its normal path and travels through the air, superheating the air and nearby components, causing fire and an explosion. This can be very hazardous, even deadly, to people in the area. Limited approach boundary and restricted approach boundary. 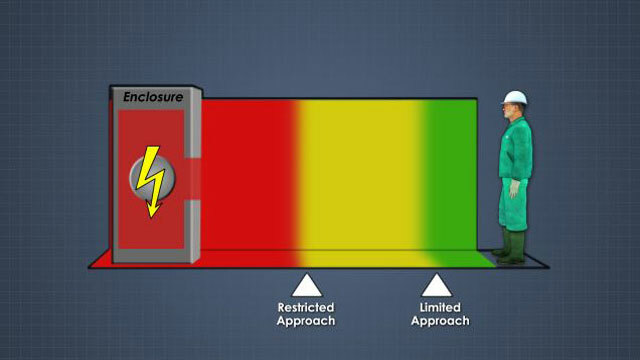 What is the arc flash protection boundary? The distance from an electrical component at which it is possible to receive a 2nd degree burn if an arc flash were to occur. The amount of heat a surface area would be exposed to if an arch flash occurred. What are ways to determine when and what arc-rated PPE is required? 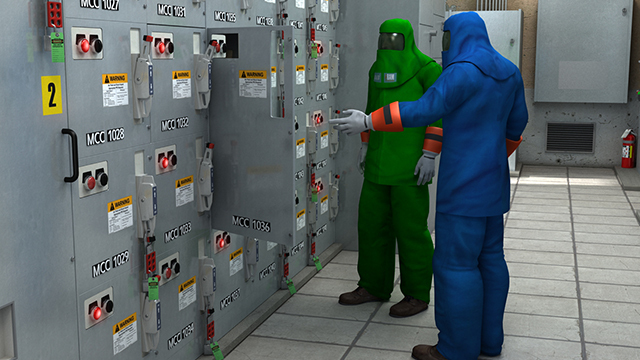 NFPA 70E includes hazard risk categories for determining the arc flash danger at a specific distance from energized equipment and task-based and equipment-based tables based on the task and equipment condition as another way to determine when arc flash PPE is required. PPE intended to be used in an area where there is an arc flash hazard. 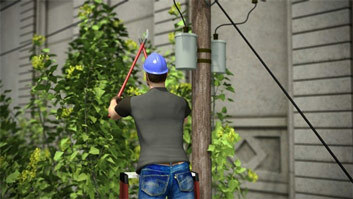 What is an electrical safety program? An employer's documented program, intended to protect workers from electrical hazards, that includes program principles, program controls, and program procedures. What is a "qualified person?" According to NFPA 70E, a qualified person is one who "has demonstrated skills and knowledge related to the construction and operation of the electrical equipment and installations, and who has received safety training to identify and avoid the hazards involved." The National Fire Protection Association known as the NFPA created the 70E standard. 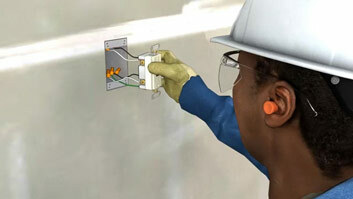 NFPA 70E is the standard for electrical safety in the workplace. It is a guide for establishing safe practices for working with or near the electrical equipment. Before NFPA 70E, the National Electrical Code created standards for installing electrical equipment but did not discuss working with that equipment. The US Occupational Safety and Health Administration known as OSHA also has standards and booklets on electrical safety that are based on NFPA 70 and NFPA 70E. NFPA 70E is updated every three years because the types of equipment and known best practices can change over time. This module will provide an introduction to NFPA 70E and will summarize some of its important safety guidelines.